Be party planner of the year by hiring Nefabit, and make memories that last a lifetime! 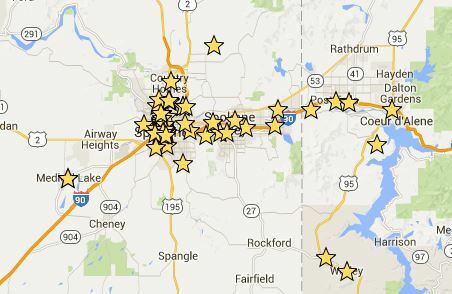 Please note, exact price is based on several factors, and travel fees apply for events outside Spokane County. Call (509) 481-1533 or fill out the Booking Form to request an exact quote. This show is all about the guest of honor and creating smiles and photo ops. Nefabit will surprise the guests with a dramatic entrance followed by a short, exciting dance set. The guest of honor is encouraged to dance, perfect for posing for photo ops and giving the guest of honor a good blushing. The rest of the audience is then encouraged to dance and have fun. Nefabit can even present a birthday cake, retirement plaque, or special gift. Ideal for bachelorette parties and girl’s night out! Learn to bellydance with your girlfriends in the comfort of your home or special venue! Nefabit’s fun-filled package begins with a short performance to captivate your guests. Next, everyone gets to join in the fun with a 40-minute beginning bellydance lesson. You and your friends will learn simple moves and a fun combo you can film at the end! This classic wedding processional is a must for wedding receptions. The dancer traditionally wears the exciting shamadan, a large candelabra on top of the head. As she enters, she plays her finger cymbals and makes a grand entrance for the new couple. The bride and groom are shown around, to introduce them to their guests as husband and wife for the first time, and ushered to their table. Once guests have settled in, Nefabit will present a multi-part dinner show to entertain your guests with exciting costume changes, lively music and dynamic props. Perfect for banquets, award ceremonies, weddings and corporate events. Create the ultimate ambiance with multiple dance sets throughout your special evening. 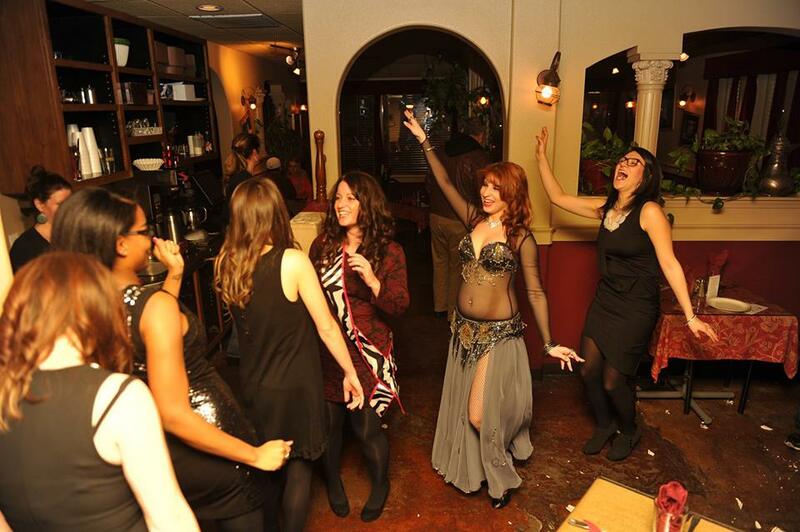 Nefabit will perform a variety of styles from classical Egyptian, Turkish Orientale, tribal fusion and more. Each set is dynamic, including lavish costume changes, eye-catching props and audience participation. Sets typically last 15-25 minutes with a 15-minute break. Pull out all the stops with an unforgettable show! Ask Nefabit about two, three – or ten dancers in special show packages. Ideal for weddings, banquets, galas, fundraisers and other prestigious events.